UA Global and the Center for English as a Second Language are pleased to announce the recipients of the 2018 Global Excellence Awards. A tradition of International Education Week at the University of Arizona, the awards recognize members of the Southern Arizona community who make significant contributions to the fields of global education and service. The following individuals were nominated and selected for 2018. 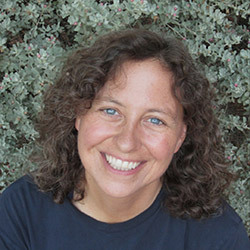 A. Elizabeth (Betsy) Arnold is a professor of Plant Sciences and Ecology & Evolutionary Biology at the University of Arizona. Since assuming her position at the UA in 2005, Arnold has played a pivotal role in the education of graduate students from Japan, Mexico, Pakistan, Sweden, and Taiwan. 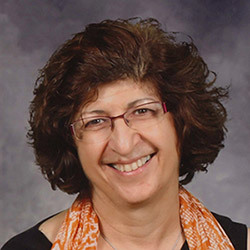 Her work with undergraduates, technicians, and postdoctoral researchers casts an even wider net: Arnold has conducted lab work with individuals from Cameroon, China, Ecuador, Malaysia, Poland, and Sri Lanka. Her current research addresses fundamental and applied questions regarding the ecology and evolution of plant microbiomes, but what motivates her most is the opportunity to work with the diverse international community of students and scholars at the UA and beyond. Anne-Marie Engels-Brooks is an instructor, director, and advisor in the Department of French and Italian Studies at the University of Arizona College of Humanities. Engels-Brooks has a longstanding commitment to global engagement, including a Fulbright experience in Turkey and a teachers’ outreach program in Quebec. After arriving at the UA, she became actively involved with Partnerships Across Languages, the French Forum, and the Alliance Française of Tucson. One of her proudest contributions to French and Francophone Studies is the Arizona in Paris study abroad program. She participated as a graduate student and co-director and is now continuing the program’s history as its director, encouraging students to broaden their horizons on a global scale. Leah Crowder is currently working toward her M.A. in Middle Eastern & North African Studies at the University of Arizona. 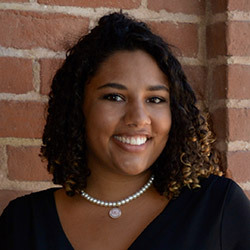 Since serving as a Youth Cultural Ambassador in Turkey, Crowder has used her global experiences to contribute to the UA and the greater Tucson community. As an undergraduate student, she coordinated globally-focused programs with UA Residence Life, mentored incoming high school exchange students, and worked with UA faculty to develop outreach programs for immigrant and refugee youth in Tucson. She regularly returns to Turkey to work on youth empowerment projects in areas impacted by regional violence. UA Global leads the international vision of the University of Arizona by developing and implementing new models of transnational education. As part of a comprehensive strategy, UA Global establishes micro-campuses or UA degree-granting locations on the campuses of international partner universities, supports international students and faculty members, and oversees study abroad programs and international student admissions. Annually, UA Global supports nearly 1,400 UA Study Abroad students, more than 1,500 visiting faculty members and scholars, and more than 4,000 international students.